Whether your furnace stops working day or night, we can be out to repair your furnace ASAP. Our certified technicians have earned the most prestigious training and certification in the industry, so they’ll get the job done right the first time. Our professionals at Chelse Cooling and Heating are trained to service any type of furnace, so you know you’ll get the best service around. Our licensed technicians can repair every type of furnace, no matter what system or fuel source. You can count on us to make the necessary repairs quickly and efficiently. 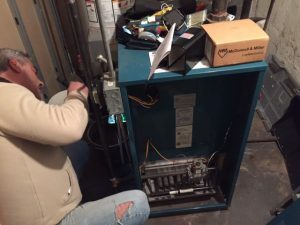 Our licensed technicians are trained to service any furnace you may have. Give us a call today to ensure your furnace is operating properly and that you have reliable and efficient heating all year long.